These days, every producer has access to music-making tools of such high quality and versatility that creating a decent-sounding bass might seem like the easiest thing in the world; but the problem, of course, is that everyone has access to these tools. As you marvel at how simple it is to fire up a bass preset on a synth and tweak it slightly to 'make it your own', bear in mind that all of your contemporaries will have the option to take this path of least resistance, too - which means the ones who'll stand out are those who work a bit harder. If you're struggling to get the kind of bass sound that you're looking for, why not think out of the box and try something completely different? It's not unheard of for producers to use pitched-down woodwind instruments to create basslines - try a bass clarinet, for example. You might need to apply a bit of processing, but this can create a nice, buzzy bass tone. If you think your bassline needs a little more ambience or depth, it can be tempting to throw a reverb over it. Our advice is to tread carefully in this area, as adding reverb can often do more harm than good. Other effects - panning or chorus, for example - are usually more suitable, and you can get good results from layering up bass sounds, too. Most synthesisers these days come pre-loaded with a slew of high-quality bass presets, many of which sound big enough to cause a minor earthquake. Sometimes, though, less is definitely more, and you might find that you're better off pulling out some basic synthesis techniques and going to work on simple oscillator waveforms instead. That said, even if you're drawn to musical styles that regularly feature sine-wave basslines, it can be better to use a core sound that's richer in frequency content and then use a low-pass filter to remove unwanted harmonics. Doing this means that you can automate filter changes as your track progresses. A sine wave contains no harmonics, so there's nothing to filter. Once you've got your low-pass filter set to the right position, try using an envelope routed to the cutoff to open the sound very briefly as each new note is played. This provides extra articulation so that the listener will really be able to hear where each bass note plays. The best settings to use when doing this are short attack and decay times, and no sustain. Getting your amplifier envelope settings right is crucial. If you're emulating an electric bass, for example, go for a fast attack, long decay, no sustain and a fairly fast release. You can make your own choices when you're creating a synthetic tone but, as a general rule, nearly all basslines need fast attack times. A bass that sounds like it's coming in late is never a good thing. Sampling basslines from existing tracks is common practice, but it can sometimes be difficult to capture a clean groove that doesn't feature any other parts. Try using a low-pass filter to get rid of the high-frequency sounds, leaving you with just the bottom end. See that noise generator on your favourite bass synth? As the name suggests, it's not there to keep quiet; try mixing a bit of white or pink noise in with your main bass sound to keep the interest levels up. This doesn't have to be there all the way through, but it can make a nice addition during an alternate section such as a bridge or breakdown. It's usually better to create your basslines in mono rather than stereo, so that they come from a fixed, narrow source. It might sound dull, but panning centrally is generally advisable, too. If you are working with a stereo synth preset, look carefully at the internal effects it uses and turn off the ones that add stereo width -unless width is something you're actively going for, of course. Do you want to get a pumping bassline without the bother of sidechaining a compressor? 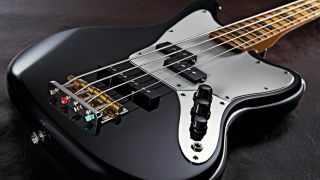 The quick and dirty way to do it is to automate the gain of your bass so that it rises and falls rhythmically, though it should be said that this technique might not give such smooth results as doing the job properly would. Perfecting a bass sound can be an engrossing process, but it can quickly become frustrating if you're trying to do it while also working on the composition of the bassline triggering it. Make sure you set aside dedicated time to get into the finer details of your bass tone.